I often find myself veering between offering practical takeaways on the blog and delving into the deeper, broader, and somewhat ambiguous qualities that make life so interesting. I’d like to think this post blends the two. So here’s a brief recap: Once upon a time, there was an overachiever who worked three jobs, which was all well and good until she ran her health into the ground. (That overachiever, of course, is me.) More than six months later, I still have a case of the blahs, and from those health woes has arisen two feelings. One is, oddly enough, a sense of gratitude. If I were to count my blessings, there would be a lot of them, and I thank my lucky stars for that. Having a supportive husband to lean upon, having a boss who’s forgiving of my crazy schedule as I head out to doctor’s appointments, having health insurance to help pay those bills…I’m grateful for those things. But the second feeling is this sense of…well, of urgency, I suppose. All those days when I’m lying in bed with a headache, I’m partially kicking myself for not being able to work, to get more done—more words written, more blogs posted, more items crossed off life’s growing to-do list. And then I kick myself more for not being able to leave work at the door. I’m learning that there is a difference between being task-driven and purpose-driven. Tasks are the items we write on a list. Purpose is broader. It’s what helps us chart a course through life, what gives us meaning and a sense of accomplishment. Purpose is the reason we set goals, whether we’re planning to run a marathon or write a book. I write because I love to write. I want people to read what I have written, and I love feedback. And I work to become a better writer. I am telling a story. I want it to be entertaining, but do I want my readers to cry, to learn something, or to never forget about the main character? The truth is that I don’t know. I just write without having a single goal for the story or how my readers should react. I believe writers should have a main goal with everything they write. Since I write romance, you’d think my goal was obvious. 😉 But the genre is more complicated than that. You don’t get the same feeling from 50 Shades of Grey that you do from The Notebook. What are some common themes that crop up in your writing? I notice a few in my own stories: healing, self-acceptance, recovering from grief. Nature and magic play key roles, all wrapped up in my own interpretations of myths and faerie tales. Purpose runs underneath all of those things, a tree’s deep roots anchoring it to the earth that sustains it. 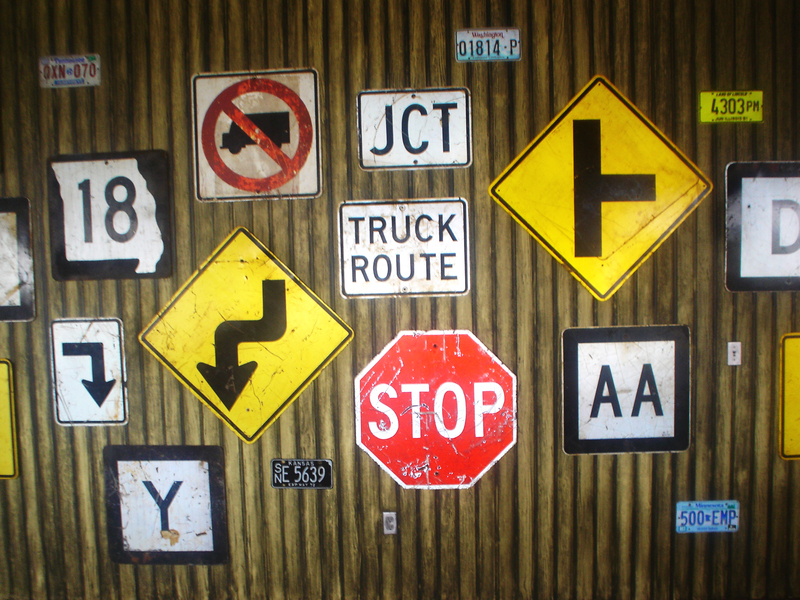 When the road signs get confusing, a sense of purpose in our writing career–and our life, in general–helps us navigate. The purpose isn’t for our readers. No, the purpose is for us. It helps us stay out of the rat race and stay focused on what we want. It helps us create the life we want to lead. This goes beyond tone, beyond theme, beyond genre. If we’re writing in three genres, it spans all three. Why do we write? What draws us to the page? Do we want to entertain? Do we want to make people laugh their cares away? Do we want to challenge people? Do we want to inspire our readers? I write to give people hope, to help them heal, to create a spot of beauty in an all-too crazy world. And that sense of purpose is what kept me pushing through the migraines and the fatigue and the aches earlier this year, to finish MADE OF SHADOWS, my first paranormal romance. And remembering that sense of purpose—creating art to make the world a better place and improve people’s lives—is what keeps me pushing. Making art—in my case, storytelling—gives me a sense of purpose, a way to reach out and help others. When I was constantly burning the midnight oil, I could only focus on task after task. I lost my sense of purpose, and I started to drift. 2012 is my year of finding my bearings and refocusing on the values that are most important to me. It’s also the catalyst behind many of my blog posts. I hope this blog will serve as a way to open up discussions about creating lives of intent and meaning. I’d like to offer these periodic writing updates, but also offer practical knowledge about simplifying life, achieving balance, and living our dreams. And I know I’ll learn more than a few things from everybody else along the way. What about you? Why do you write? What values drive your life?